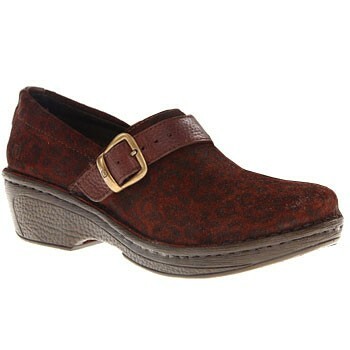 For comfort that just keeps going and style that is just as enduring, look to the Born Glendell clog. Printed fabric uppers give a touch of glam, while smooth leather linings promote a healthy, dry environment for your feet. Heel-to-toe insole cushioning offers lasting comfort for extended wear, while the tucker board with steel shank provides superior stability and support for those long days. A sturdy yet lightweight polyurethane outsole will make each step secure but light, and Opanka hand-sewn construction provides the Born Glendell with long-lasting durability and flexibility. 2" heel.